I bet that you visited at least once Yahoo Answers, or at least landed there after you searched on Google to find the answer to a question. You will be surprised to see how many people put questions directly into Google search box. 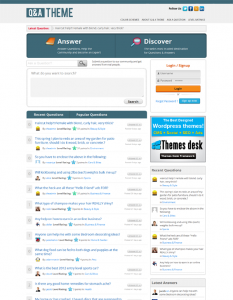 It is very effective for simple answers, because you most likely will land on a page of a Q&A website like Yahoo Answers, Ask.com, StackExchange where you can directly read the answer to your question. As far of relevance, Yahoo answers are full of spam right now. They can hardly fight spam because they are General. There are questions about everything and about nothing. The Internet needs Q&A websites for every topic, where you can ask a question to a community directly interested by the subject. In this way the answer will be the best you can get. If you have a website that covers a certain topic you can provide more value to your visitors, to your community by opening a Q&A community around your website. 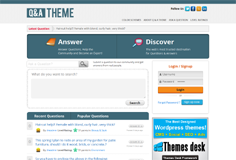 Few years back this thing was not so easy to accomplish, because it required time to build such website from scratch, but today you have WordPress and a lot of themes available with different functionalities, including Questions and answers. The user sign-up and log-in is connected to the wordpress user management system. 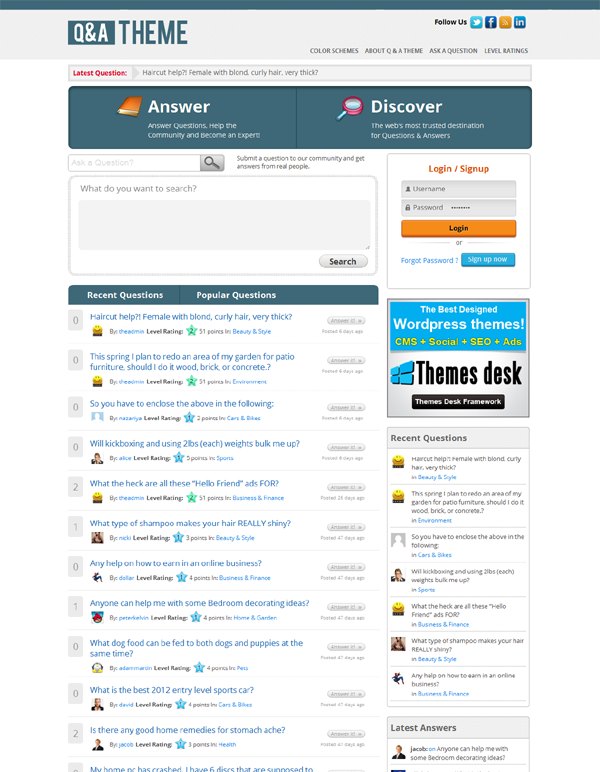 The theme have a very nice inputs for questions and answers and a very nice design to display the questions. On the sidebar you can select which widgets to display, from a variety of widgets created to display latest questions, latest answers, login box, search box, etc. 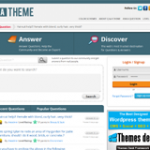 You can get this great Q&A Theme from ThemesDesk. Today, wordpress is becoming more and more beautiful,but there is one thing I hate about so many of the new themes are the gray fonts they use. VERY difficult to read.